Ask most trucking companies about their critical assets, and they’ll start talking about how many tractors and trailers they own. That’s not Hillcrest Transportation. We don’t see ourselves as simply a trucking company, we are a solutions company, which means our greatest assets are people. For us, that means putting the customer relationship first, but to keep that relationship strong we have to have the best drivers with the best support team. We have people who can think. They also have the determination and will to get the job done well and on-time. But that doesn’t mean we skimp on equipment. Our fleet is constantly growing to meet the ever-changing demands of providing the very best freight solutions. All of our equipment is modern, clean and well-maintained. OUR PASSION IS YOUR SUCCESS. John grew up on the family farm, milking cows, pushing snow and operating machinery. This is where his work ethic was formed. 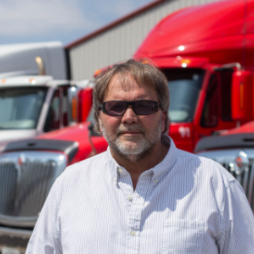 At age 19, John left the farm to drive a truck for an independent logging trucking company. This is where John learned how to drive a truck. Next, John worked for CXpress trucking in Richmond, VA hauling boxing container freight to and from ports. This is where John learned about the trucking business. John then moved on to Batesville Casket Company, first as a driver and later was promoted to manage the warehouse and all their drivers. At Batesville, John learned about building a strong culture aligning sales and distribution in order to create the best customer experience. All of these experiences combined to form the values that Hillcrest Transportation was founded on: work ethic, technical skills, business knowledge and customer focus. 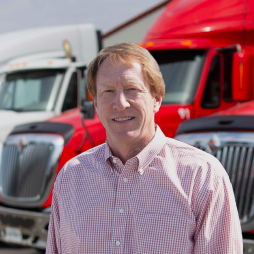 These values have been the key to Hillcrest’s growth from one truck to a fleet covering the US and Canada, and will continue to be the foundation as Hillcrest continues to grow as it works to better serve its customers. 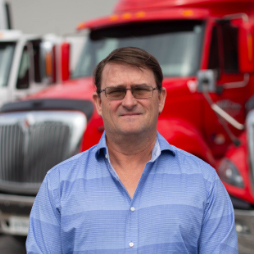 Warren Groseclose comes to Hillcrest with nearly 30 years’ experience in the bulk truck industry. Most recently, he served as the president of Automated Cargo Transport Systems and the VP of operations of Atlantic Bulk Carrier Corporation. 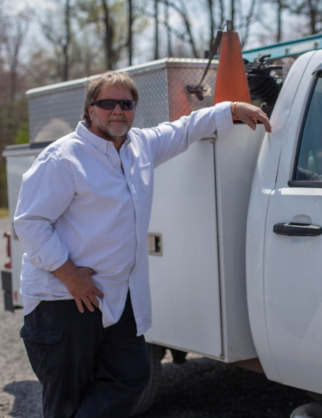 Early in his career, Mr. Groseclose spent 15 years with Tidewater Transit Co. Inc. where he helped expand its operations to 14 terminals spread out over eight states with 330 power units. While with Tidewater Transit Co., he earned a U.S. Patent by creating a mobile solution to transfer explosive material from rail to truck for Amoco Chemical. 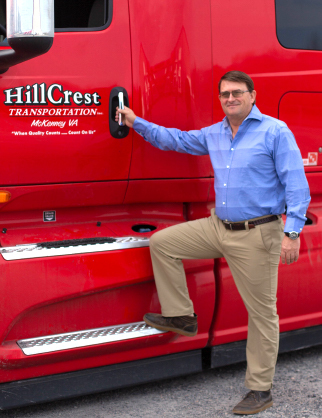 Hillcrest Transportation is Mr. Groseclose’s third family owned trucking company and he brings with him his wealth of tank truck experience and knowledge on how to successfully grow an organization. 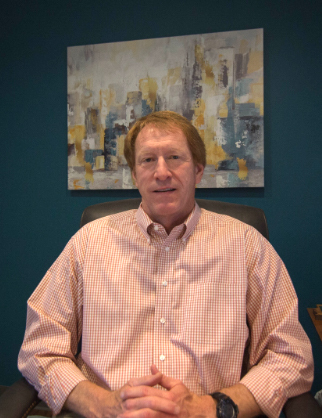 Mr. Groseclose is a former board member with the National Tank Truck Carriers Association, a graduate of the Virginia Military Institute, and served as an Army Aviator in the United States Army. He has summited Mt. Rainier twice and has a cattle ranch in Highland County, VA where he spends time introducing friends and family to the outdoor life. At 17 years of age, Al got his start in trucking as an apprentice working on engines for Cummins. The trucking bug had bitten him… hard. He then moved over to SuperValu, then to Tignor Trucking, to TankWash and to Oakley Tank Lines. He spent time rebuilding motors, driving trucks, yard jockeying and more. Al also became a licensed and certified tank inspector in 1994. The bottom line is that anything having to do with a truck, a trailer or a tank, Al has built, rebuilt or repaired it. He has driven everything from an airplane to a bulldozer with a few hundred trucks in between. When Al met John Edmunds, John was dispatching out of a briefcase. Al decided to make the move to work at Hillcrest because he saw that Hillcrest was a hardworking, do what they say, don’t put stuff off, take care of your equipment, pay what you owe kind of company, with good relationships with their drivers, vendors and customers. As Terminal Manager, Al works closely with Operations to ensures that “customers and drivers are priority one,” this is the Hillcrest Transportation motto and Al makes sure we live it every day. At Hillcrest, Al dedicates himself and his team to doing whatever it takes to get the job done, well, safe, and on time. The title doesn’t do justice to all that Melissa does at Hillcrest. If it has to do with the day-to-day operations of Hillcrest Transportation, she is the one that is on top of it. 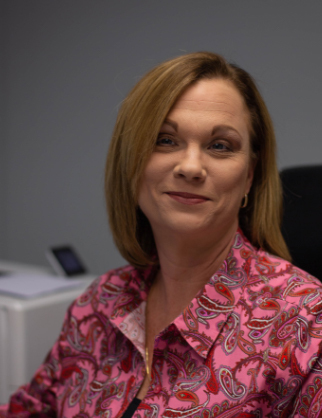 With 20 + years in the transportation and logistics industry, and with additional experience managing profit and loss (P&L), budgeting, sales, personnel development and supplier/carrier relations, Melissa has done it all. Wanting to move away from working nights, Melissa’s next stop was at VHI Transport as Operations and Dedicated Manager where she consistently built profitable revenue opportunities thru third party sources and carrier relations. Understanding that a large part of being a leader is being a teacher, Melissa also took on the responsibilities of hiring, training and managing personnel working to build their knowledge of supply chain management & Logistics. This is where she began to see how important it is to find personnel that fits, not only the job description but the culture of the company. When an opportunity to move to USA Truck as Regional Sales Manager came across her radar, Melissa felt it was an offer she couldn’t say no to. She became a road warrior, traveling throughout Virginia and the Northeast to secure business and grow existing business for the USA Truck network. One of the key lessons learned is that not all business is created equal. Extending her previous aha moment about finding right fit personnel, Melissa now realized that right fit customers are another key to the success of any company. Cox Transportation, Inc. was looking for a Carrier Relations Manager and Melissa was ready for the challenge. While there, she secured carriers to service customers logistics needs. Adding to her insights on finding right fit personnel and clients, Melissa now saw the advantage that her customers received by always considering the selling factor of Logistics that would allow the asset side of the business to flourish with fewer assets while generating higher revenues. 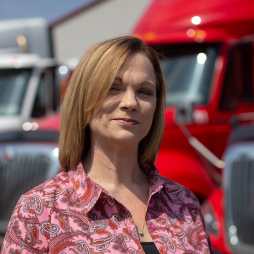 Today at Hillcrest Transportation, Inc. as the Logistics & Sales Manager, Melissa combines the lessons learned throughout her career in transportation – work ethic, technical skills, business knowledge and finding personnel and customers that fit. And, if you need to know where your shipment is, Melissa knows that too. Want to know how long safety has been a passion for Terry? Well, at 15 years old, Terry joined the Petersburg Rescue Squad. Then he moved to the role of firefighter with the Petersburg Fire Department. From there he became a Cardiac Technician with the State of Virginia. At this point, it may sound like his career moved in a new direction as a driver and then assistant manager with Batesville Casket Company but Terry continued to keep safety as a priority. Moving on to Chaparral Steel as a heavy equipment operator, Terry learned about building an organizational culture focused on… you guessed it, safety. 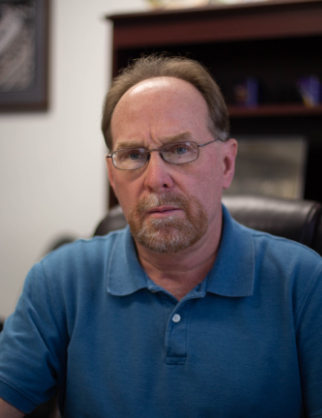 Today, Terry serves as safety director for Hillcrest Transportation. To say he’s done a good job is a massive understatement. His detail orientation, his drive to find the most efficient and safe way to get things done, his focus on education and training as the key to preventing accidents, and his emphasis on immediately addressing any safety issues has resulted in having only 2 workman’s compensation claims in the past 16 years. Almost unheard of in the trucking industry. Hillcrest’s first customer was one of its toughest. After not hearing back from a customer, our founder got a call asking him to fill in and get a load delivered by 6am the next day. He agreed but there were 2 small issues. He didn’t have a tractor or a trailer. Without hesitation, he started calling and found a tractor and trailer within a few hours and was on his way. Doing what it takes is in our DNA. It’s not just about having trucks. It’s about service. 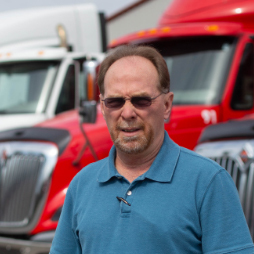 Today we have grown to have a fleet of trucks covering the U.S. (the lower 48 states) and Canada, with people that have the same determination and will to get the job done, done right and done safely. When it counts, you can count on Hillcrest. At Hillcrest, “safety” isn’t just about meeting requirements and regulations, it’s a commitment to our customers, our employees and our community. We are fully committed to both highway and environmental safety. That’s why our fleet is maintained well above national standards and all our equipment meets or exceeds the ever-changing emissions laws. We are SmartWay Transport Partners, meaning we are able to demonstrate our efficiency efforts to reduce emissions and fuel use. This saves our customers money and the environment benefits as well. As part of our commitment to safety, we fully comply with the ELD mandate, carry $5 million in liability insurance and are EPA certified for hazardous waste substances. All our prospective employees undergo full background checks and drug tests. Once hired, we randomly drug test our drivers to ensure the safety of your freight and the general public. Training is an important part of our commitment to safety. Almost every driver is Hazmat certified. Also, Hillcrest employees receive Hazmat and material safety training on an on-going basis. What may seem like a small thing can reap big benefits. We have paid mandatory sleep time for our drivers. Less than 1% of trucking companies do this. The result is well rested drivers with better attitudes than competitor drivers who aren’t paid for their mandatory sleep time.